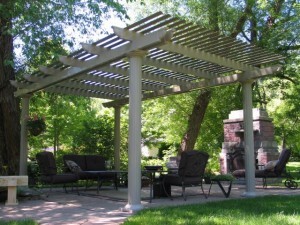 If you are looking to enhance your outdoor space with a pergola in the Des Moines, Iowa, area, you can trust the experts at U.S. Patio Systems and Home Remodeling to supply and install the best outdoor structures on the market. We only work with high-quality products that are built to last, which is why TEMO is our go-to manufacturer for pergolas and other outdoor living structures. Style options – Choose an attached, freestanding, or garden arbor pergola. Durability – Made of heavy-duty extruded aluminum, your new pergola will be long lasting. Low maintenance – Coated in an electrostatic powder, your new outdoor structure will be easy to clean. For more information on adding a pergola or other outdoor living structure to your home in the Des Moines, IA, area, contact U.S. Patio Systems and Home Remodeling today.